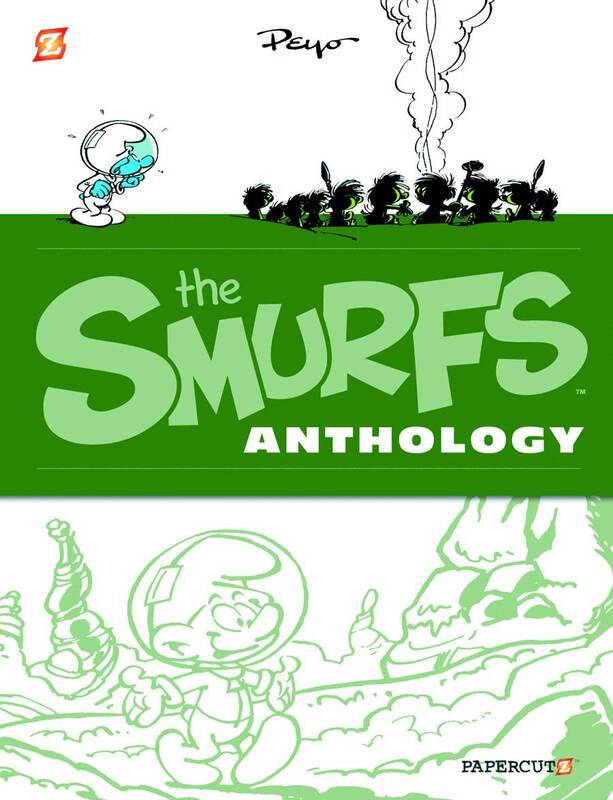 One of Peyo's most iconic smurfs, the Astrosmurf, gets the deluxe Anthology treatment. Fifty years ago, mankind set off into outer space. Now, a smurf sets foot on another planet - or does he? Could it possibly be a smurfspiracy to fool Dreamy Smurf into becoming the Astrosmurf? Or has Dreamy Smurf gone where no Smurf has gone before? Also featuring "The Smurfs and the Howlibird" and "The Cursed Land," a Johan and Peewit story appearing here in a U.S. edition for the first time! The Smurfs have delighted us all with their silliness, bravery, heroism, and heart for over 50 years, and now we finally have a definitive collection of Peyo's original comics to see where it all began.